Are you a coffee or tea drinker? Tea is my drink of choice and I’m fairly knowledgeable about various teas and their health benefits. Honestly, I’ve become a bit of a snob about my tea and definitely prefer brewing loose tea over using purchased teabags. A new tea shop recently opened in our neighborhood and I’ve been intrigued by their tea blending classes. I am always able to talk myself out of taking the time or money to treat myself to this, however. So I am pleased when a staff member gets me a gift certificate for the tea blending experience for Christmas. I get to try another “new thing”. It takes about 6 weeks to organize this event on my calendar but I finally arrive at my tea blending class. We hear some history of tea and the health benefits of the various ingredients on our table to blend with our tea. We have scales to measure 1 ounce of a tea base: black, green or green rooibos. Then we can add various ingredients and taste the tea until we have a blend that is our “cup of tea”. The class provides for two 2-ounce bags of our blended tea creation. There are so many intriguing ingredients to blend with the tea bases. There are cards on each ingredient that list health benefits and suggest pairings. Available ingredients include: chamomile, hibiscus, lavender, rose petals, safflower, lemongrass, peppermint, spearmint, allspice, star anise, cocoa nibs, cardamom, cinnamon, cloves, ginger, and rainbow peppercorns. There is also bee pollen, licorice root and stevia for natural sweeteners. I make a green rooibos blend with cocoa nibs and cinnamon chips and name it Mexican Green Rooibos. My green tea blend is blended with lavender, rose petals and cardamom and I name this blend Floral Green. I think they are both delicious! What drink is your proverbial “cup of tea”? 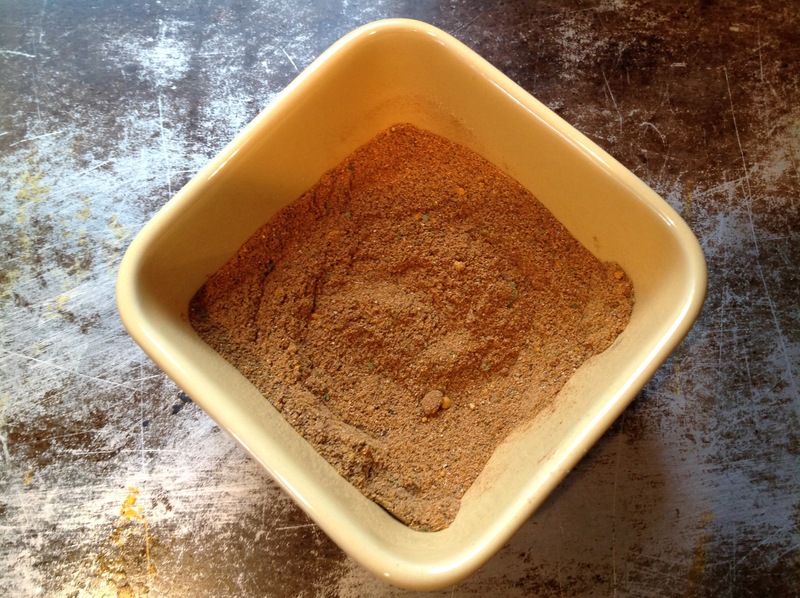 You simply combine the ingredients and store in a container with a sealed lid. 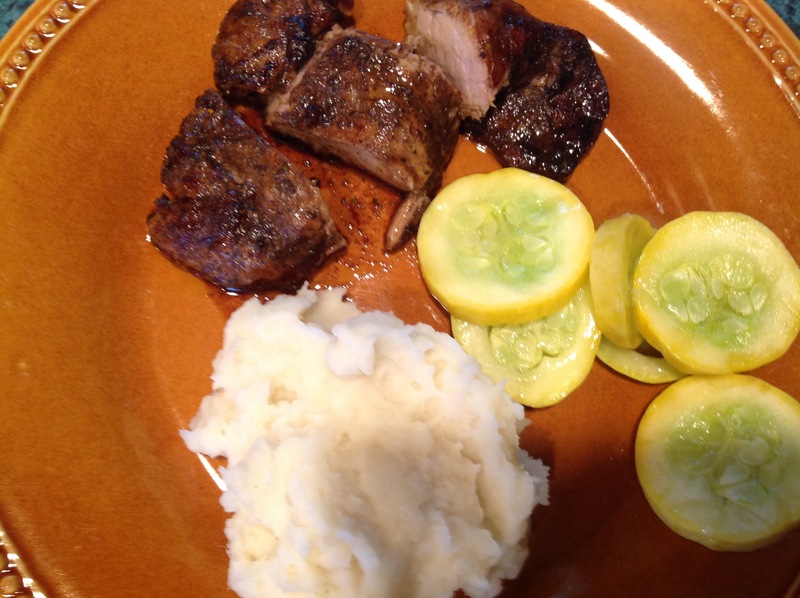 My first experiment with the spice blend is Balsamic-roasted pork tenderloin, one of the most saved recipes on allrecipes.com. 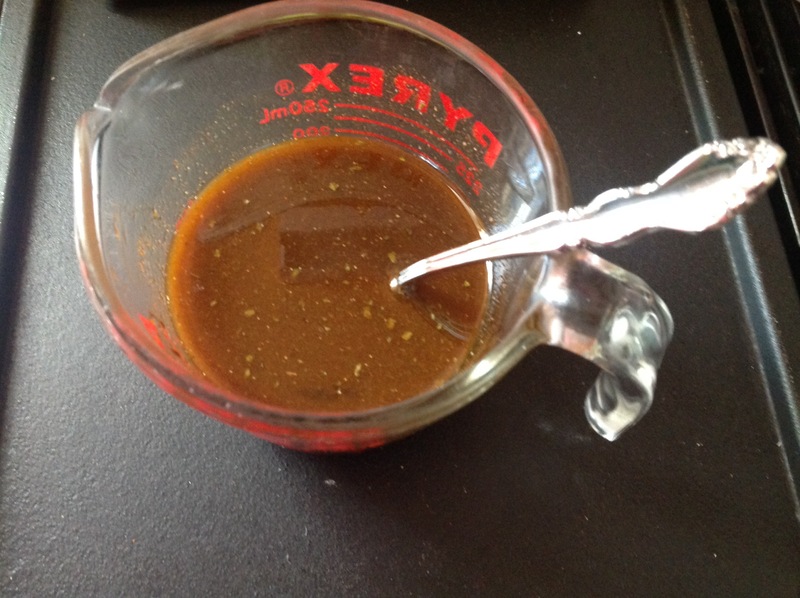 I put equal parts olive oil and balsamic vinegar in a measuring cup and add 2 tablespoons spice blend. Next I put the pork in a Ziploc bag and added the marinade mixture. 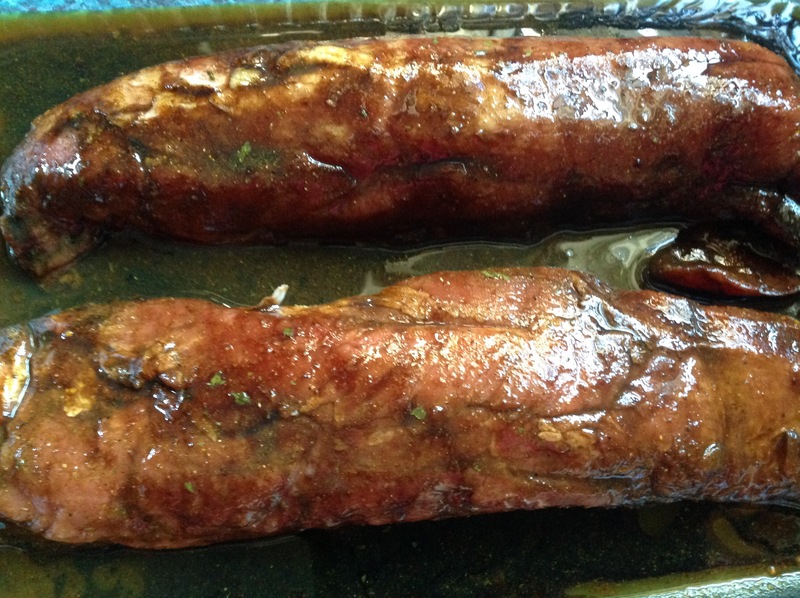 Marinate the pork 2 hours to overnight. When you are ready to cook the pork, preheat your oven to 350 degrees. 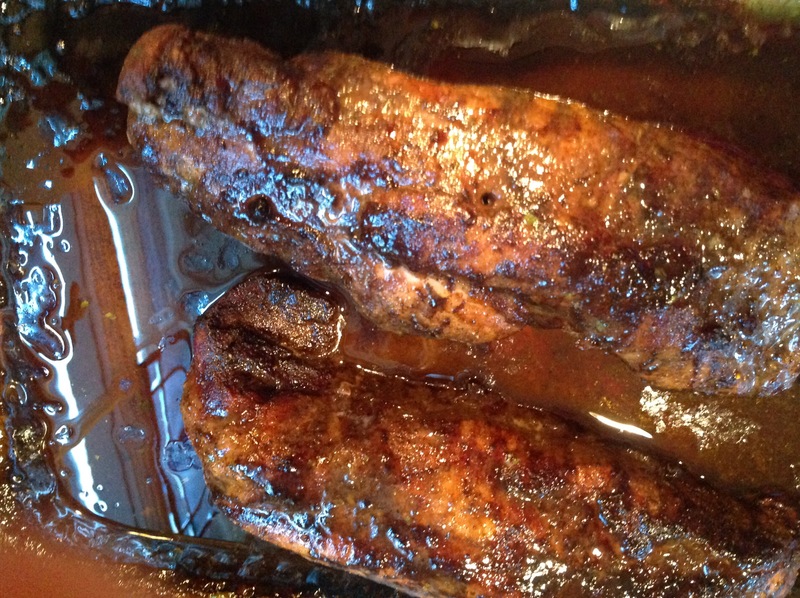 Put the pork in a 9×13 glass dish and pour in the marinade. Roast, basting every 15 minutes until an instant read thermometer registers 145 degrees, about 1 hour for pork tenderloin, longer for a larger pork loin. 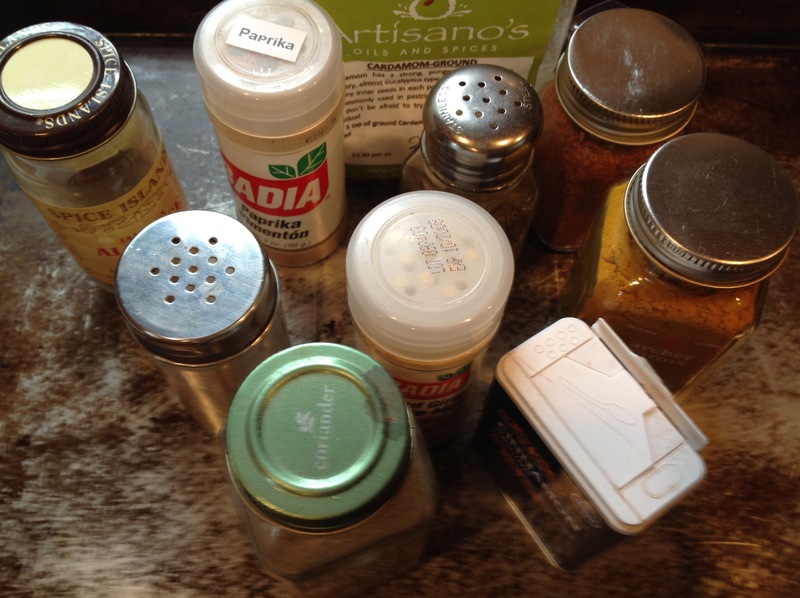 The spice blend provides lovely flavors. Enjoy!